Fulfillment | Alta Vista Inc.
Alta Vista Graphics can work with your company to achieve success in terms of direct marketing results. Sending a potential customer a printed marketing piece, on behalf of our client. 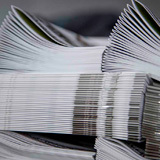 Services typically include the production, storage, management, tracking and delivery of the client’s printed material. AGC provides customized solutions for distribution of materials, whether you require daily, weekly, or monthly fulfillment. As an experienced, results-driven direct marketing/mailing partner, we deliver both consulting and production services including marketing strategy, audience identification, data analytics, data processing, mailing services, response management and campaign analysis. Whether you’re looking for a full partner solution or simply one of our services, we can work with you and your partners to achieve success in terms of direct marketing results.